Thanks for reading, Rick. 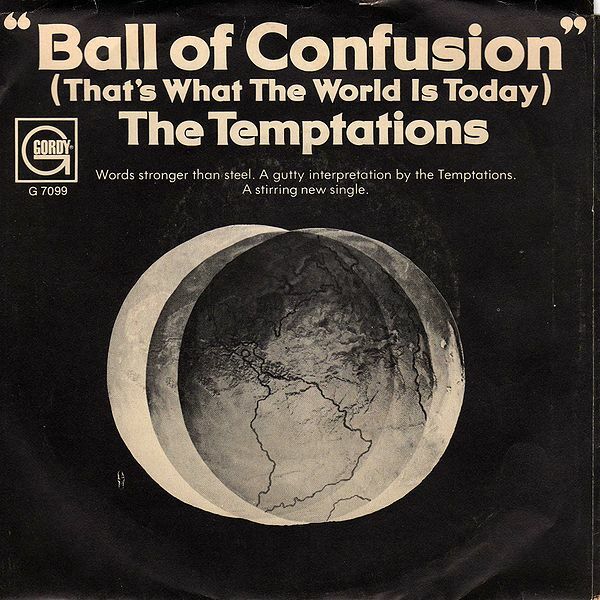 I’ve never heard the Four Tops perform “Ball of Confusion,” but if you have a link I’d love to hear it. Does anyone know who plays harmonica on the Temptations version? Was it one of the Funk Brothers? Thanks for reading, Mark. The liner notes that accompany the year-by-year Motown box sets list all the musicians on each track. However, those sets are out of my price range (and out of print) and I haven’t been able to track down a copy of the notes. This is a long way of saying that I don’t know for sure who played the harmonica. My guess is that it was one of the Funk Brothers. Motown rarely went outside of its stable of musicians, particularly in the Detroit era. According to Wikipedia the harmonica was played by Stevie Wonder!